by Vicky Here's a great kid-friendly muffin recipe that contains not only chocolate chips, but zucchini! They're great for after school snacks, or to take on playdates. I can't take credit for them though, they came from Shannon's blog 'Crafty Mom Cooks'. Check out her blog for some really great recipes the whole family will enjoy. 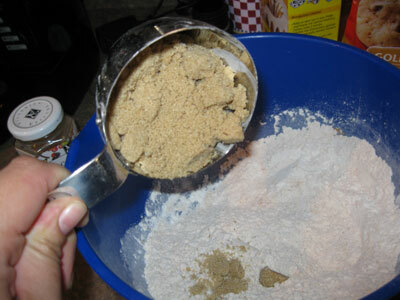 In a bowl, combine flour, sugar, baking soda, cinnamon and salt. 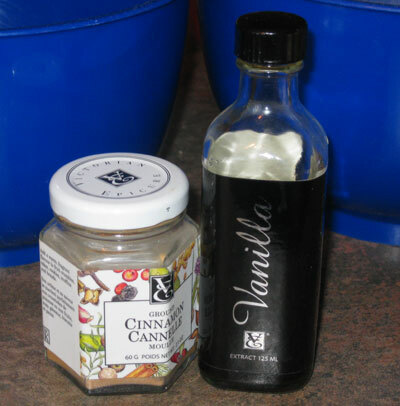 I'm a big fan of Epicure, and I really love their cinnamon and real vanilla extract so those are the ones I used. Also I used brown sugar, but you can use white if you prefer. Combine the egg, oil, milk, lemon juice and vanilla; mix well and set aside. Stir into dry ingredients. Add the zucchini, chocolate chips and walnuts (which I skipped this time). 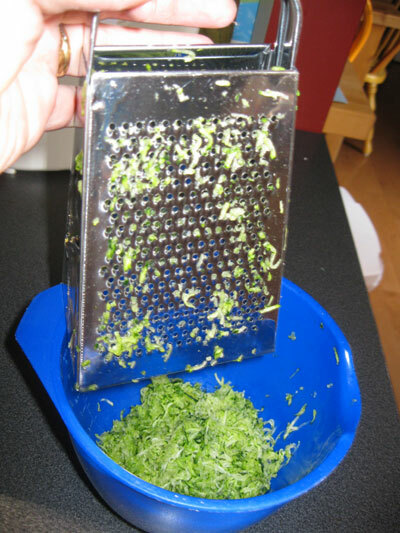 I use the finest grater I have for the zucchini, which makes it disappear into the muffins, (not that I'm trying to deceive anyone). 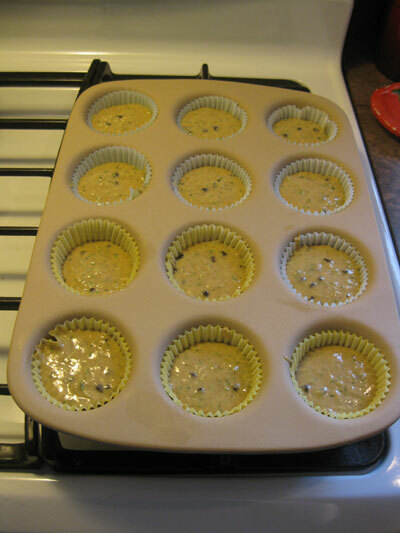 Fill greased muffin tin. Bake at 350 degrees for 20-25 minutes or until muffins are golden brown on the top.